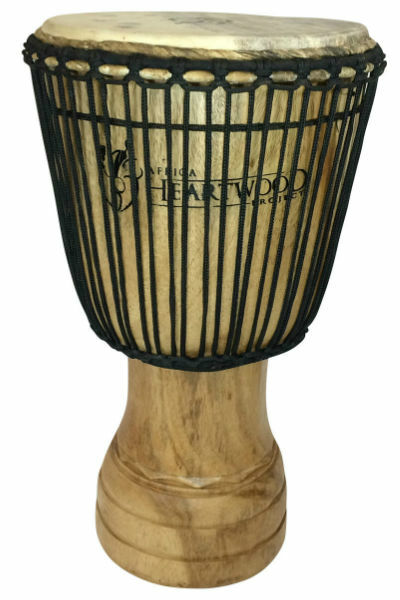 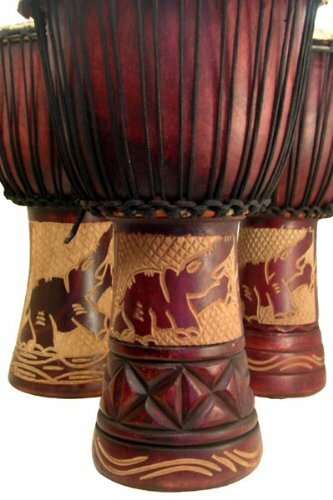 The Paragon Ivory Coast Djembe drums from Africa Heartwood Project are hand-carved out of solid Iroko hardwood and headed with thick, natural goat skin. 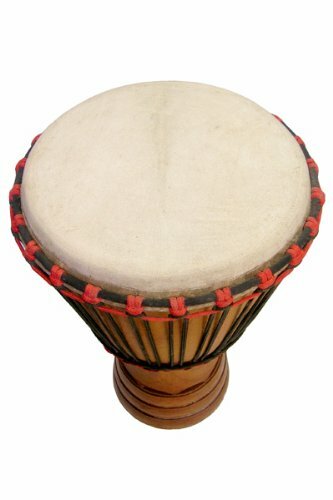 With a professional-grade shell this drum is a great choice for for the intermediate to advanced drummer, and is available in three sizes: 12×24, 14×25, and 15×25. 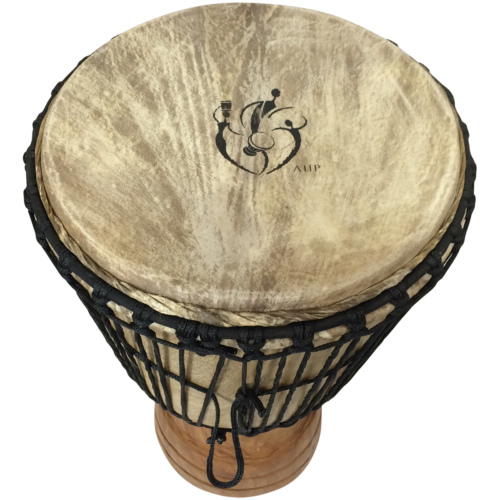 These Paragon Ivory Coast Djembes are custom built to our specifications for sound and wood quality, dimensions and shape, and durability. 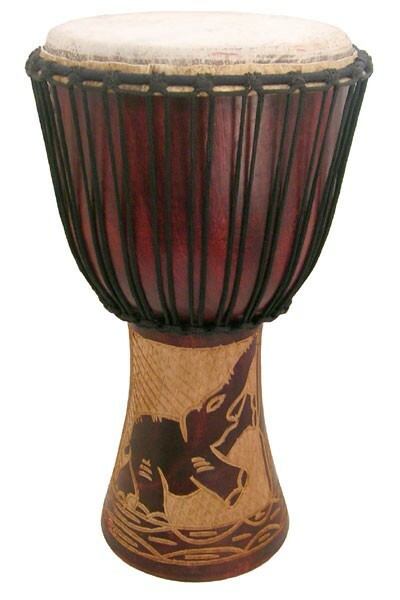 By African-made standards these are high-end djembes, suitable for teachers, students, performance, and drum circles. 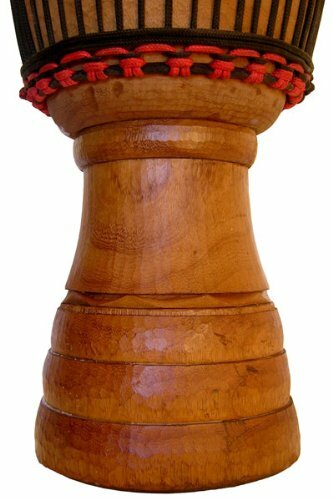 The shell is carved of top-rate Iroko hardwood, precision crafted with even thickness, fully cleaned out, and well oiled. 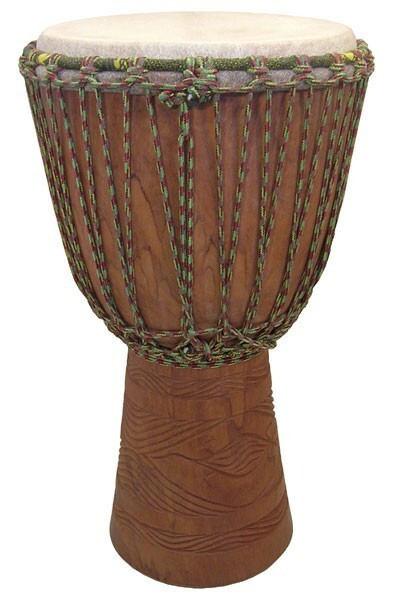 The skin, rope, and rings are the best of what is available to local drum builders. 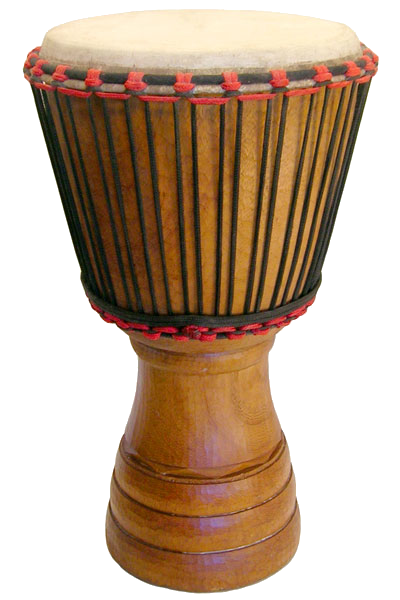 The shell quality is professional grade, as is the skin. 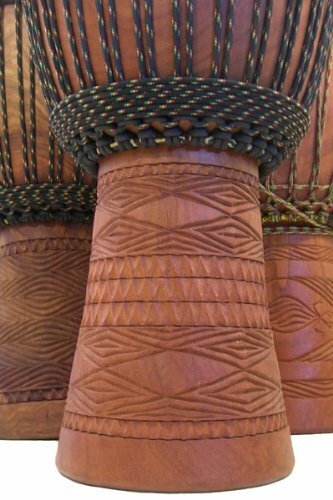 The Ivory Coast djembe is available in 3 sizes,all with same colors of rope and cloth, and similar geometric designs carved into the base.